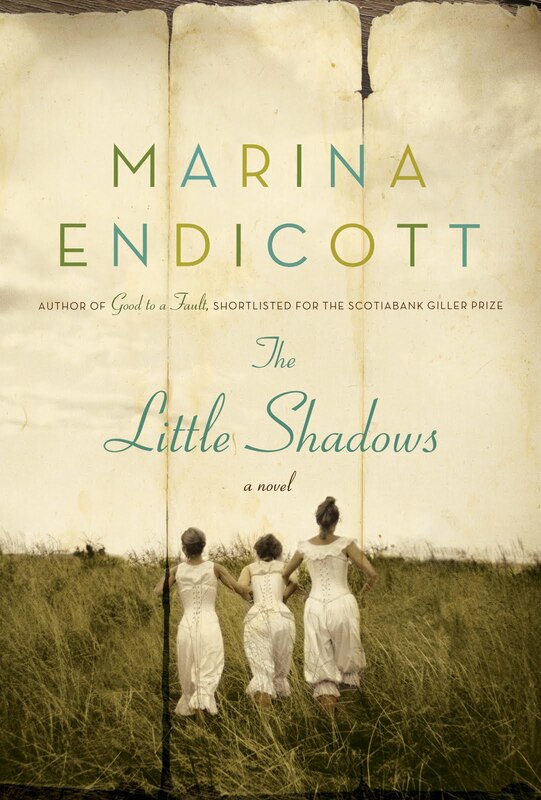 MARINA ENDICOTT is a prize-winning Canadian novelist who has written three novels, Open Arms, Good to a Fault and The Little Shadows, and is working on a novel about a man who tries to create heaven on earth by fixing the lives of all his friends (Close to Hugh). 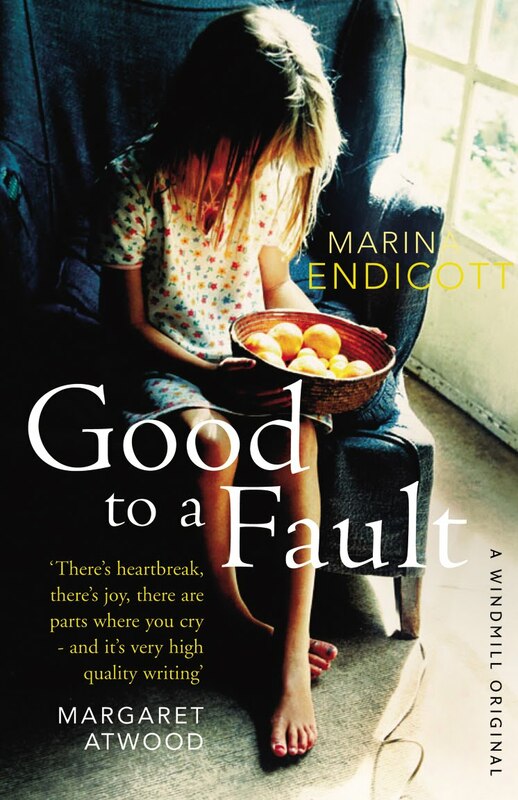 Good to a Fault was shortlisted for the 2008 Giller Prize and won the 2009 Commonwealth Writers’ Prize for Canada and the Caribbean, while The Little Shadows is set in the world of vaudeville in the early part of the 20th century. 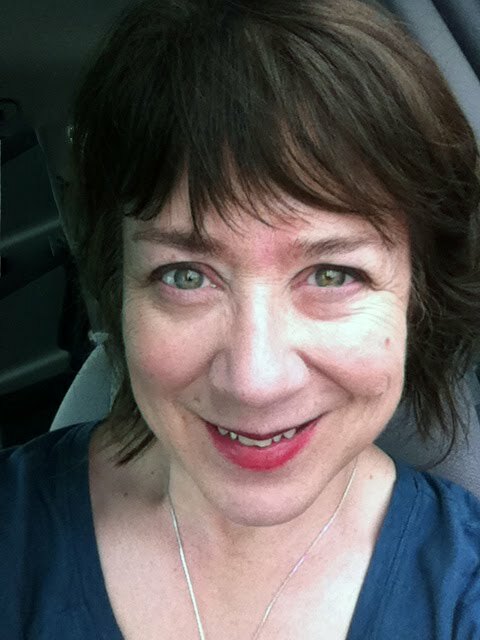 Endicott teaches creative writing at the University of Alberta in Edmonton, Canada. You were born and bred in Golden, British Columbia, Canada. Only born, not bred. We left when I was two—but I have surprisingly clear memories of Golden. My brother (who was also born there, just before my father was sent to a new Anglican parish) and I drove up into the Rockies to see the old rectory a few years ago and were slightly shocked to find that the house had become a thrift store, crammed with used clothes and household tat. But it was great to be able to walk through all the rooms and imagine ourselves there. The Rocky Mountains is a massive mountain range that cuts down the western side of Canada and the US; the landscape around Golden, near the peak of the Rogers Pass, is dry and very clean. Frightening drives careening round the sides of mountains, rock falls, waterfalls, and an alternating view of rockface or vast, wild vistas. You started out in the theatre as an actor, playwright and director before writing novels. What prompted the change in direction? Not so much a change of direction as a return home: I wrote before I acted, almost before I read. My acting career was littered with writing too, notebooks full of imagined previous circumstances and notes on relationships, etc. I was no great shakes as an actor, always better at readings than the longer marathon of performance runs. Directing is the best job in theatre, and I loved it; because I was already beginning to write I was commissioned to write a few plays, but don’t consider myself a good playwright. But I love the art of theatre, and the beauty of the backstage is always enchanting, especially that dual view—watching the performance from the shadows in the wings, while at the same time seeing the hidden mechanisms, the people behind the screen. Not so much set my heart on, like a shiny possession, but more like water or air, something necessary for living. I love the long, urgent task of creating and then solving imaginary (but as true as I can make them) problems. In all the arts I know, I haven’t found anything better than living the life-within-life of a novel. What’s a day like in your writing life? I write or think or fume about writing every day, most of the day. Domestic tasks intrude, and my family does demand a bit of human contact from me, but otherwise I am happy to work. I get up early in the morning, before my children have to be harried off to school (they’re nearly cooked now, one off to university next year and the other the year after), and come back to my computer until they come home and it’s time to scramble some supper together; in the evening, I work. I like to work. And I’m pretty slow. The Little Shadows is your third novel. 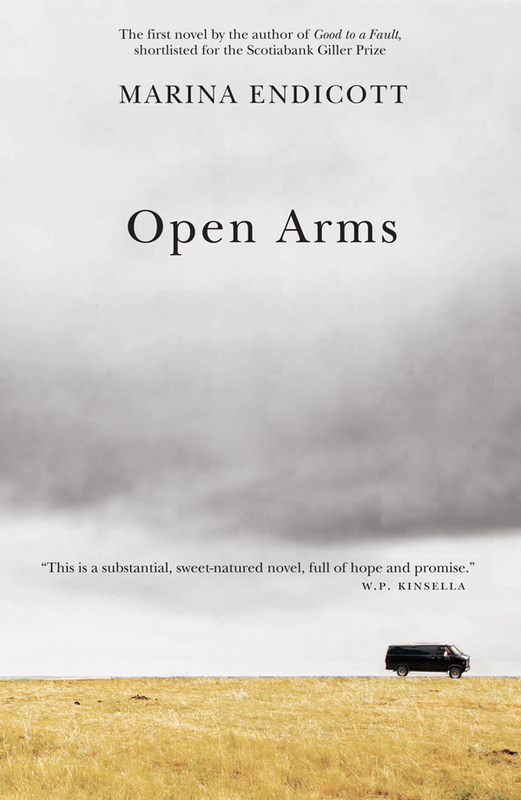 Was it difficult getting your first novel, Open Arms, published in 2001? Unusually, no. I had been writing short stories for a while, and had won a couple of awards, and an editor wrote asking to see a novel when I had one finished. I finished it, sent it off, and they published it. That’s not normal, of course—my second novel, Good to a Fault, was rejected by several publishers. I couldn’t really blame them: a repressed spinster, a woman dying of cancer, and an Anglican priest doesn’t sound like a fun read. Did you know where you were going with your novels as you were writing them? I usually know where the novel will end, but I don’t know how it will get there. What are some of the themes you explore in The Little Shadows? I hope it works on a few levels: on the surface, the picaresque rags-to-riches adventures of the vaudeville company; a little deeper, examining the vicissitudes all girls go through, coming to terms with themselves, their bodies and minds; and in a larger sense, as an examination of how we become true artists—how life infests and influences the work that artists do. I wanted to write about love and death, just for a change; about money and its morality; and above all, art: what makes it good, is it worth suffering for, is trashy art worth doing—what threads run through our long lives in art? I wanted to talk about the medium-time in all the arts: not the geniuses (except Victor), but the ordinary people who make ordinary art without much fuss or hysterics, who have a workmanlike sense of their craft and a fitting modesty about their talent. And use that modest talent generously. What drew you to this time, place and subject? Three elements combined to make me susceptible to vaudeville: my early experience as an actor in touring theatre, and in small precarious theatre companies; working with, admiring and being depressed by comics in England, Toronto and in the west; and—this was an important factor—getting to know the audience in the prairies. Working with arts organizations in the west introduced me to the blessed company of farmers, insurance agents and teachers who spend all their free time organizing concerts to bring in musicians and performers of every variety, because in every place, and in every age, people have a deep continuing hunger for art. I spent a couple of years wandering in online archives, becoming enchanted with vaudeville photographs, before starting serious research in 2006. As well as straightforward archival research, I travelled the prairies to visit old vaudeville houses, including the Empress in Fort MacLeod, the Lyric in Swift Current, both of which are in the book. I drove the Death Trail, the route the Belle Auroras take through Montana and farther west. I spent years gradually immersing myself in the period and the lovely, ridiculous, expert art of vaudeville. The research was a pleasure: discovering the hilarious, miserable, nonsensical stories of this strange culture and time. It reminds me of online gaming, which has sprung up just as quickly and become as all-pervasive, and which will be superseded by something else as technology moves along—but I can’t think of any other art which led artists to the development of such sheer physical skill. After a hundred years, all our performing arts still rest on the base laid down in vaudeville. I loved learning the technical tricks of vaudeville, many of which are still in use: the thunder sheet, the glass-crash man. I’ve put a vaudeville glossary on my website, but the reader learns about vaudeville as Aurora and Clover and Bella do, by wandering around backstage. It was a great honour to work with my invaluable editor at Doubleday, Lynn Henry. Although tiny, she is formidable, but we did not have to argue—I agreed with everything she said or suggested, and believed from the beginning that she had a perfect understanding of the book. You can’t help but be grateful for the enormous altruistic involvement of an editor, and for the intimacy of that long, drawn-out conversation. As a fiction writer and an avid reader, what do you think are the essentials of good fiction? I’m so glad you asked me that. Not that I have an easy answer. But “good” runs like a gold lode through so many genres, including what some people call the genre of literary fiction. I’ve come to believe that it depends on the quality of the imagining that goes into a book: the freshness and strength of the images, the deep reality (although many times there’s no “reality” involved) of the lives depicted, and the intelligence or emotional understanding the writer brings to the work. If language is expertly used, too, that’s extra delightful. What distinguishes the great novels from the merely good? A harder question. Shuffling slowly toward some understanding of this, I’m afraid I’m beginning to believe that the moral breadth of the writer comes into it. Not that it has to be a morality I’d necessarily agree with or hold, but that the great questions are seriously entertained: what is life? How should we live? And these questions can be asked, and answers attempted, in every genre. I think of children’s books like E.C. Spykman’s Terrible, Horrible Edie or Ursula K. Le Guin’s A Wizard of Earthsea; of science fiction like Frank Herbert’s Dune; contemplative novels like Marilynne Robinson’s Gilead or wild west adventures like Guy Vanderhaeghe’s The Last Crossing; I think of a book like Heart of Darkness—which is essentially a sea yarn, but far transcends its original purpose. Tell me about some of the books from your childhood that still resonates with you. I’ve mentioned Terrible, Horrible Edie, but there are lots of others! I read like a demon, an addict, a sad case. All through our childhood travels my father would call from the front seat, “Put down the book! Look where we are!” One of my favourites, T.H. White’s Mistress Masham’s Repose, becomes a manual for living for Dolly, the abandoned child in my novel Good to a Fault. Who are some of your favourite authors, Canadian or otherwise? What are some of your favourite Canadian books? Of those still with us, Helen Oyeyemi, whose Mr Fox is one of the books of the year this year; among the dead, Penelope Fitzgerald always, for all her books, but my favourite is The Beginning of Spring. In Canada, Michael Ondaatje (The Collected Works of Billy the Kid remains my favourite, but The Cat’s Table is a beautiful, tender book); Guy Vanderhaeghe; Fred Stenson (particularly Lightning, his western set in Cochrane, Alberta, where he lives and I used to live); Lynn Coady (whose The Antagonist was shortlisted for the 2011 Giller Prize); Gil Adamson (her novel The Outlander but also her remarkable short stories and her recently reissued book of poetry, Ashland); and this year I loved Miriam Toews’s spare, heartfelt Irma Voth. I think today I would say Penelope Fitzgerald’s The Beginning of Spring, for its skill and surprising delicacy, for the scene with the bear in the dining room, for the excruciating pain she puts her characters through and how the plot miraculously turns; but Russell Hoban’s Riddley Walker is always standing close to the top, because the full-on experience of reading that book, diving down into broken thought and broken language and clutching at spars until you actually come to understand the new/old world, is like nothing else on earth. Which writers would you say have had the greatest influence on your work and what, if any, are the books you return to time and again? Everybody influences me. All of the above. Even if it’s not at all evident in my work! And I return to all the books mentioned above, and to every book I’ve ever loved. Rereading is a great joy. I’m very much enjoying the one consolation of getting older, that I can reread mystery novels by Michael Innes, Margery Allingham, Ngaio Marsh and others with fresh pleasure because I’ve forgotten the plots by now. After a long fall of reading all brand new Canadian novels through the literary festival season here, I’m now rereading E.C. Bentley’s The Woman in Black and John Buchan’s Huntingtower; in new-to-me books I’m reading wonderful, eerie Barbara Comyns’s The Skin Chairs and Dan Vyleta’s The Quiet Twin. I’ve just finished the elegant Patrick Gale’s new novel, A Perfectly Good Man, which I loved. It’s inborn—we all have it. It’s taught—we all need to learn how to use it and free it and expand our use, and to trust it. Next to reading and writing, what is (are) your grand passion(s) in life? My dear husband and children; my friends, who are Legion and Lovely. Having been nomadic since childhood, one of the things I love best is a long car trip with no particular destination, either alone or with my family. For better or worse, we are now in the age of e-books. What are your thoughts on e-books and e-book readers? Have e-book readers won you over? Or are you in the “ink-and-paper forever” camp? Or somewhere in between? I’ll read any format, any time, anywhere. I read the back of cereal boxes, I read the tiny grey-print jokes that come out of Christmas crackers: I am a full-on addict and will read any text available. But I’m still mostly reading physical books. I gave my husband a Kobo reader for Christmas, thinking he’d like it because he could make the print bigger; he thanked me but wanted a Blackberry Playbook instead, so I now have the Kobo. I like it very much for reading e-books from Project Gutenberg. Even though the screen is small, I do like reading on my iPhone with Eucalyptus, my favourite e-book software. Do you think e-books will replace physical books one day? Yes, for many titles. A lot of the books we read are information or junk food, to be consumed quickly and deleted from our directories. Others are treasures to be returned to, and there’s not much difficulty distinguishing between the two. We will hang on to beautiful physical books for a long time, I believe. The physical pleasure of reading a book is too good to give up, at least for those of us who learned to read before screens. But I think before e-books replace physical books there will be some changes in the technology. It’s not physiologically comfortable yet to read long passages of fiction onscreen, no matter how the screen and ink are arranged. And I’ve learned one important thing: don’t read in bed on your iPad. I fell asleep and dropped the iPad, and had a ridiculously swollen mouth for days and days. A book has never physically hurt me. Unless you count the long torture of writing one!